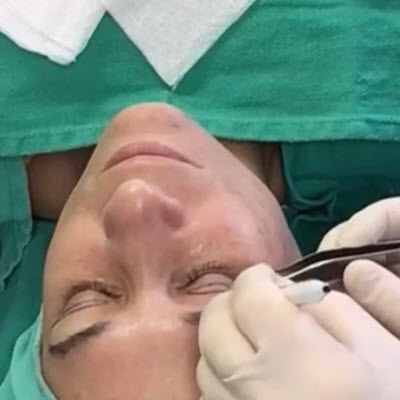 Christina reached out to us after watching Dr Rich perform surgery LIVE on Periscope. Now she joins us for a very simple eyelid procedure. Christina is awake through the procedure, but is relaxed under medication. She is having excess skin trimmed away because, as we get older, the skin starts to droop around our eyes.